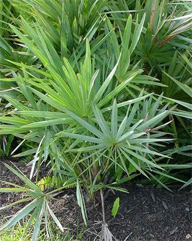 Saw Palmetto is a small palm tree with large leaves and large deep red-blackberries. The berries were used by the American Indians as a general tonic to nourish the body and encourage appetite and normal weight gain. The berries were also used in the treatment of genito-urinary tract problems including enuresis, nocturia, and urinary tract disorders. Recent clinical trials have shown that saw palmetto berries are helpful in the treatment of benign prostatic hyperplasia. Saw Palmetto berries contain an oil with a variety of fatty acids and phytosterols. These fatty acids include capric, caprylic, caproic, lauric, palmitic, and oleic acid and their ethyl esters. The major phytosterols are beta-sitosterol, stig masterol, cycloartenol, stigmas terol, cycloartenol, lupeol, lupenone, and 24-methyl-cycloartenol. The fat soluble extract of saw palmetto berries has been shown to inhibit the conversion of testosterone (DHT) which is thought to be responsible for the enlargement of the prostate. In addition saw palmetto extract inhibits the binding of DHT to receptors thus blocking DHT's action and promoting the breakdown of the potent compound. The North American Indians used saw palmetto berries as a remedy for atrophy of the testes, impotence, inflammation of the prostate, and low libido in men. The berries are also recommended for infertility, painful periods, and lactation in women. The berries also have a traditional use as a tonic and expectorant for mucous membranes, particularly the bronchial passages. Campault, G. et al. (1984) A double blind trial of an extract of the plant Seronoa repens in benign prostatic hyperplasia. Br. J. Clin Pharm. 18:461. Mowrey, D. ( 1986) The Scientific Validation of Herbal Medicine. Cormorant Books.